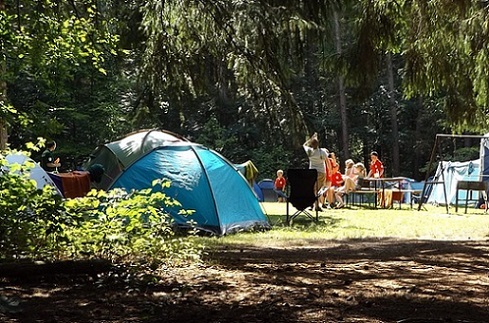 A camping holiday is a great way to see more of this beautiful country we live in and a fantastic way of teaching kids all about the natural world. It’s also a pretty cheap option when you’re travelling with the whole family in tow. So, chances are if you haven’t been camping before, you have at least considered the possibility. If that’s the case, I would strongly suggest that you go ahead and plan that Aussie outdoor adventure as soon as possible. When you go camping, especially if it’s a family affair, there is lots of equipment you need from warm sleeping bags to camping stoves that you can cook marshmallows around in the evening. It can get pretty expensive, but it doesn’t have to, not if you purchase used equipment anyway. Of course, buying used equipment from the local op-shop or online is also a good way to keep your camping carbon footprint to a minimum. Recycling is always the greener option! Another good way to keep your carbon footprint to a minimum during your camping trip is by leaving the majority of your gadgets and gizmos at home. Instead of bringing your smartphones (one phone for emergencies is sensible), portable games consoles, mp3 players, laptops and whatever else it is that you think you need, bring nothing more than a portable radio and actually spend your time enjoying the wonders of the natural world. Not only will you use less power, but you’ll also have a lighter load to carry, and you’ll benefit from the relaxation that comes with switching off and enjoying the beauty of the world around you. It’ll be great for the kids, who always seem to be glued to one device or another too! There is nothing wrong with wanting to explore all that this beautiful country has to offer, but if you want your camping trip to be as green as possible, then it makes sense to find a nice little spot that isn’t too far from home, so that you don’t use nearly as much fuel to get there. The added bonus to choosing a nearby plot of wilderness is that if you do get fed up with fighting bugs or battling with the weather, you can simply pack up and be home again within very little time. If you don’t want to disturb the delicate ecosystem in the area where you choose to camp, then avoid settling down on river banks, lakesides and places that are teeming with flora and fauna. Go for a more solid area, preferably where the ground is made up of compact dirt, slabs of rock or even gravel and you are much less likely to disturb the nature around you. 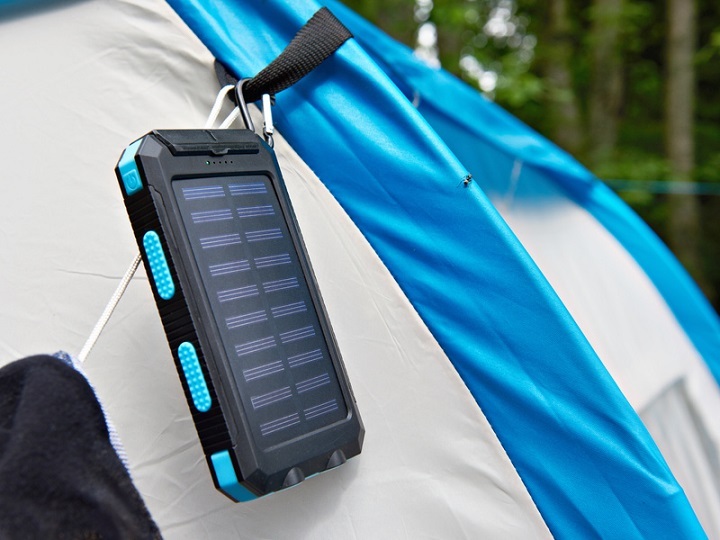 It isn’t always possible to do so, but when you can, and in Australia you usually can, using camping solar panels to charge things up and provide you with any power that you might need during your trip is pretty much a perfect way to keep your camping trip green. You’d be surprised just how much power those things can pump out, so don’t worry that you’ll be left without any juice – you won’t. It’s also sensible to use LED lights where possible because they burn brighter and have a life twice as long as the average bulb, which makes them the green choice, not only when you’re camping, but when you’re at home too. There’s nothing worse than heading off to a remote beauty spot where you plan to pitch your tent or park your camper and have a blissful few days in nature, only to find that the place is absolutely littered with trash, most of it plastic. Trash that is strewn around in beauty spots is a danger to nature, and it makes the place look very untidy, so if there are no bins around, be sure to pack your trash and dispose of it at the soonest opportunity in the proper way, that’s what all good campers do. If you’re camping in a spot where there are clearly defined paths and trails, you should do your best to stick to them, not only because you don’t want this to be the holiday where you were all left out in the wilderness, but more importantly because most trails are there for a reason – they are there to minimise the impact of footfall on the surrounding environment, and they do a very good job of that if people stick to them. Packing a Life Straw for each member of your party is a great way of cutting down on the use of wasteful plastic water bottles, because it enables you to decontaminate any water, so you can pretty much drink from anywhere. It’s also a much lighter option if you’re planning to hike, too! While we’re on the subject of water, apart from drinking, which is, of course, vital, you should aim to use as little water as possible. Even if that means showering less often or only cleaning your food dishes once each day. Water is a precious resource and the less of it you use, the better it will be for your environment. Lighting a campfire at the end of the day is a highlight of any camping trip, but campfires aren’t exactly the greenest option there is. So, if you are going to have one, it’s a good idea to ensure that it’s as safe and low-impact as possible. That means checking the campsite’s regulations on where fires can and cannot be lit (if you’re staying at a site), using a fire pit to contain the flames and stop them from spreading where they could do some serious harm and cleaning up the site before you leave. I know it’s a lot easier to use disposable plates, cups, and cutlery when you’re camping outdoors, but they are in no way an environmentally friendly option, especially if they’re made from plastic. So, although it might be a little more hassle, do pack a picnic basket with your own reusable crockery and cutlery and remember to bring along a bowl so that you can wash them when you’re done if you’re camping in a tent rather than a caravan or camper. It’s not the most pleasant of subjects to talk about, but f you’re camping in the wild, it’s important that you bring a long a shove, so that you can dig a hole in which to do your business. Once you’re done, bury it and place any toilet paper you’ve used in a biodegradable bag before disposing of it when you next reach a suitable bin or toilet to do so, or even when you get home. If you’re going to be washing in a creek, then try not to pack your usual cosmetics which probably include a lot of chemicals that could harm the local wildlife.Instead, use natural products such as coconut oil, baking soda and natural soaps, which will have far less of an impact on the environment around you. This goes for bug sprays, cleaning detergents and any other liquids that you plan to bring along that could come into contact with water or even the surrounding land. It might be tempting to collect lots of little souvenirs of your camping trip – things like rocks, shells and other natural objects – and although there will probably be no harm in you letting the kids pick up a pebble or two, for the most part, you should leave things be because even if it seems like a small thing, removing it could actually harm the delicate ecosystem around it. It might also be tempting to feed any cute critters you come across on your travels, but this is not a bad idea, not only because many seemingly cute animals are a lot more dangerous than they first appear, but also because should those animals get used to being fed by humans, they may not work so hard to feed themselves and this could throw the natural order out of whack. Camping is a truly wonderful way to explore the world, and if you do your best to be green while you’re camping, then you will get more out of your experience by connecting even more strongly with the amazing natural world around you. You’ll also leave the places you visit in good condition for the next family who comes along looking to have a good time. Happy camping!